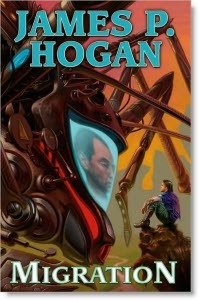 In this issue: resist alien invasion and take on a tough Heinlein quiz. Plus new June books! June brings two blockbuster offerings from NASA and DOD consultant (as well as top Baen author) Travis S. Taylor. First, a nonfiction tour guide through what we do—and do not—know about how to defend ourselves from what may be some very bad stuff out there in space. 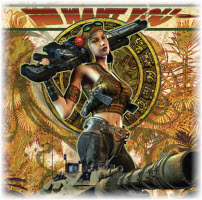 Taylor and Bob Boan’s Alien Invasion may scare you out of your Earthly skin, but it’s also the handbook we need to fight back! Next, bow down to the self-styled Emperor of the Universe and you and your species get to be drafted as cannon fodder. Refuse and it’s the Hell of a black hole’s eternal event horizon for you and all those you love! 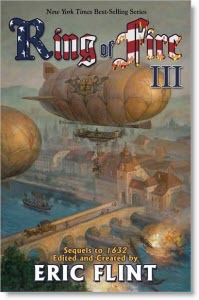 Check out Travis S. Taylor’s pulse-pounding, idea-laden novella “Kings” free at Baen.com. Plus check your upcoming listings and/or set your DVR in June for National Geographic channel’s new When Aliens Attack, with Taylor and Boan as main consultants and key screen commentators! 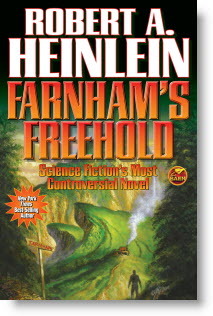 To celebrate the release of a new edition of Farnham’s Freehold complete with an all new celebrity forward by Heinlein biographer Bill Patterson, here’s a quiz to put you through the paces and test your Heinleinian mettle. 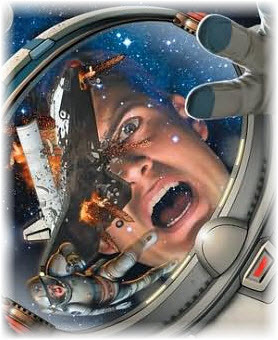 Beware: this Heinlein quiz is a very harsh mistress. TANSTAAFL! 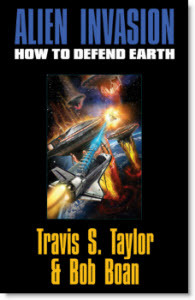 The ultimate survival manual for the ultimate attack from space–a nonfiction guide from popular Baen author Travis S. Taylor and Bob Boan, top scientists who know their subject inside and out. It’s a cross-time fight for freedom in a far-future world where the up-time denizens consider all down-timers traitors–and fodder for slavery. 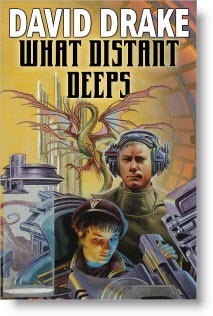 A Heinlein classic. Powerful dreamers become trapped in the perilous, magical worlds of their own creation and must learn to shape their own dreams–or disappear forever. 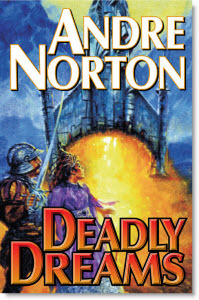 Andre Norton’s Dream novels together for the first time. The jackals of the outer reaches may think they can divide and pillage the Republic of Cinnabar, but the barbarians are about to find they’ve bitten off more than they can chew when faced with intrepid RCN Captain Daniel Leary and master spy Adele Mundy. 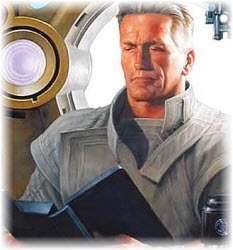 Stuck with a pair of psi-wielding super-beings, do-gooder Captain Pausert must fight for galactic peace in the present by taking on a dangerous mission backward in time. The hit series continues. A multi-generation starship blasts off to the stars with all the vying cultures of a post-apocalypse Earth aboard. They’ll either find a way to live together or destroy one another for the second, and final, time. Adapt—or be trod into the dust of the past forever. A time-twisting collection of tales by a star-studded array of top writers such as bestseller Mercedes Lackey and Eric Flint himself—all set in Flint’s phenomenal Ring of Fire series. I will argue that Lee Falk's ‘The Phantom’ is the greatest superhero ever. He comes from a line of similar heroes going back over 400 years. He is dependent on himself and whatever assistance he can find at the time. He has created a semi-police force and kept it as clean as is possible. He has supported various charities with blood and treasure. He travels the world and leaves reverent memories behind in the people he has helped. He was one of the first superheroes to practice a complete indifference to the color of skin or culture of the people he was helping or fighting. He practices a self-discipline and code of honor that makes Superman look like a Bowery Boy. If the definition of superhero means a figure to be emulated to the benefit of both the individual and culture I can't think of a better example than the Phantom. Details on the currently running Starfire Aliens contest can be found here. 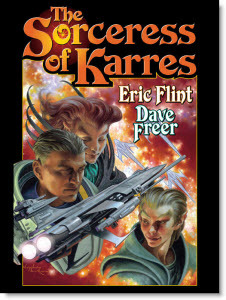 Don’t forget to check out the newest eBook releases, contests, and the all-new monthly free fiction and non-fiction at Baen.com.